As we reread “Ozymandias,” we might recall that it was on this date in 425 that the University of Constantinople was founded by Byzantine Emperor Theodosius II at the urging of his wife Aelia Eudocia. 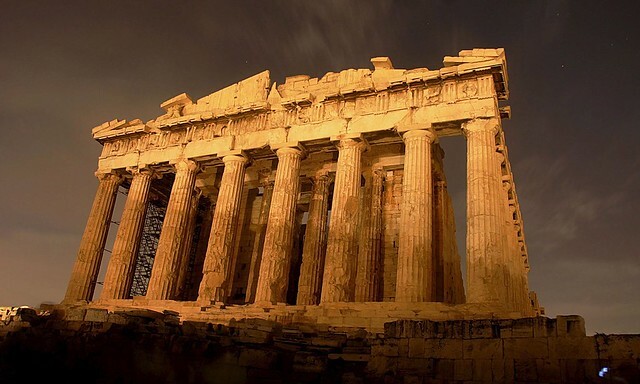 It opened with 31 chair (in law, philosophy, medicine, arithmetic, geometry, astronomy, music, rhetoric and other subjects– 15 taught in Latin, 16 in Greek, and survived until the 15th century. Almost anytime we examine the past and seek out the people most like us — those such as Ovid or the Chinese poets; people who built cities, knew how to read, and generally carried out civilian labor — we find them enclosed behind walls of their own making. Civilization and walls seem to have gone hand in hand. Beyond the walls, we find little with which we can identify — warriors mostly, of the sort we might hire to patrol the walls. The outsiders are mostly anonymous, except when they become notorious. The birth of walls set human societies on divergent paths, one leading to self-indulgent poetry, the other to taciturn militarism. But the first path also pointed to much more — science, mathematics, theater, art — while the other brought its followers only to a dead end, where a man was nothing except a warrior and all labor devolved upon the women. No invention in human history played a greater role in creating and shaping civilization than walls. Without walls, there could never have been an Ovid, and the same can be said for Chinese scholars, Babylonian mathematicians, or Greek philosophers. Moreover, the impact of walls wasn’t limited to the early phases of civilization. Wall building persisted for most of history, climaxing spectacularly during a 1,000-year period when three large empires — Rome, China, and Sasanid Persia — erected barriers that made the geopolitical divisions of the Old World all but permanent. As we brood over borders, we might recall that it was on this date in 1639, according to the diary of John Winthrop, Governor of the Massachusetts Colony, that the first UFO sighting in modern history occurred. The governor wrote that when the strange apparition finally faded away, the three Puritans in the boat were stunned to find themselves one mile upstream—as if the light had transported them there. The men had no memory of their rowing against the tide, although it’s possible they could have been carried by the wind or a reverse tidal flow…. All revolutions come to an end, whether they succeed or fail. The digital revolution began when stored-program computers broke the distinction between numbers that mean things and numbers that do things. Numbers that do things now rule the world. But who rules over the machines? Once it was simple: programmers wrote the instructions that were supplied to the machines. Since the machines were controlled by these instructions, those who wrote the instructions controlled the machines. Two things then happened. As computers proliferated, the humans providing instructions could no longer keep up with the insatiable appetite of the machines. Codes became self-replicating, and machines began supplying instructions to other machines. Vast fortunes were made by those who had a hand in this. A small number of people and companies who helped spawn self-replicating codes became some of the richest and most powerful individuals and organizations in the world. Then something changed. There is now more code than ever, but it is increasingly difficult to find anyone who has their hands on the wheel. Individual agency is on the wane. Most of us, most of the time, are following instructions delivered to us by computers rather than the other way around. The digital revolution has come full circle and the next revolution, an analog revolution, has begun. None dare speak its name. 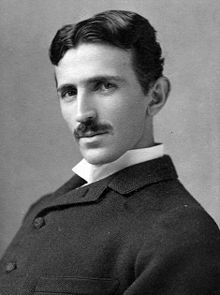 As we ponder the possibilities of posterity, we might spare a thought for Serbian-American electrical engineer and inventor Nikola Tesla; he died on this date in 1943. Tesla is probably best remembered for his rivalry with Thomas Edison: Tesla invented and patented the first AC motor and generator (c.f. : Niagara Falls); Edison promoted DC power… and went to great lengths to discredit Tesla and his approach. In the end, of course, Tesla was right. Tesla patented over 300 inventions worldwide, though he kept many of his creations out of the patent system to protect their confidentiality. His work ranged widely, from technology critical to the development of radio to the first remote control. At the turn of the century, Tesla designed and began planning a “worldwide wireless communications system” that was backed by J.P. Morgan… until Morgan lost confidence and pulled out. “Cyberspace,” as described by the likes of William Gibson and Neal Stephenson, is largely prefigured in Tesla’s plan. On Tesla’s 75th birthday in 1931, Time put him on its cover, captioned “All the world’s his power house.” He received congratulatory letters from Albert Einstein and more than 70 other pioneers in science and engineering. But Tesla’s talent ran far, far ahead of his luck. He died penniless n Room 3327 of the New Yorker Hotel. As we rethink our roots, we might spare a thought for W. Lloyd Warner; he died on this date in 1970. A sociologist and anthropologist, he is remembered for his studies of social class structure, in which he was a pioneer in applying anthropology research methods to the study of contemporary urban social communities. 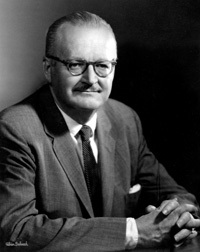 Probably best-remebered for his (5 volume) study Yankee City, he was the first sociologist to use a six-fold classification scheme in attributing social class: Warner recognized three distinct groups – upper, middle and lower classes – each sub-divided into upper and lower sections… a rubric still very much in use. An empiricist in a time when the social disciplines were increasingly theoretical, fascinated with economic and social inequality in a time when Americans were eager to deny its significance, and implicitly skeptical of the possibilities of legislating social change at a time when many social scientists were eager to be policymakers, Warner’s work was unfashionable in its time. His interest in communities — when the social science mainstream was stressing the importance of urbanization — and religion — when the fields’ leaders were aggressively secularist — also helped to marginalize him. 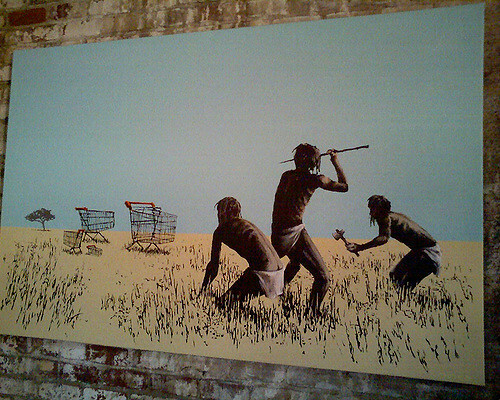 But recently, more positive assessments of his work have emerged (e.g., Grant McCracken‘s, here). 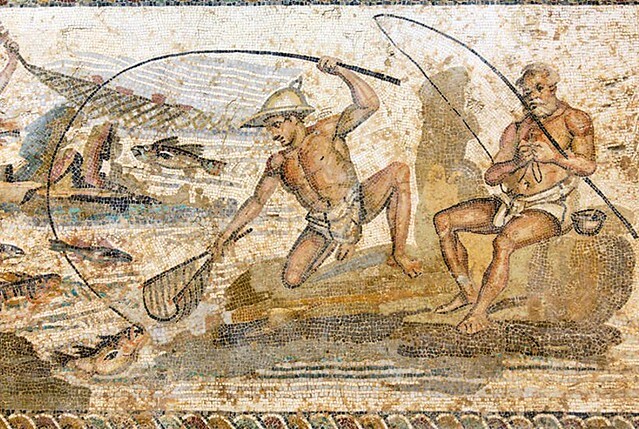 Brian Fagan is an archaeologist, a profession that we associate with dust and soil and stone, but here he attempts to capture the history of fishing in ancient civilization. It is not just fish that elude the historian: fisherfolk have always lived on the margins — of land and in recorded history (and still do). ‘To a scholar,’ writes Fagan, ‘the illiterate fishing people of the past are elusive, and their trade is a challenging puzzle of clues.’ So assembling a history of fishing means, well, fishing among archaeology, anthropology, history, marine biology and oceanography and paleoclimatology — ‘to mention only a few’. Fagan has to fish deeply sometimes and into unexpected places. 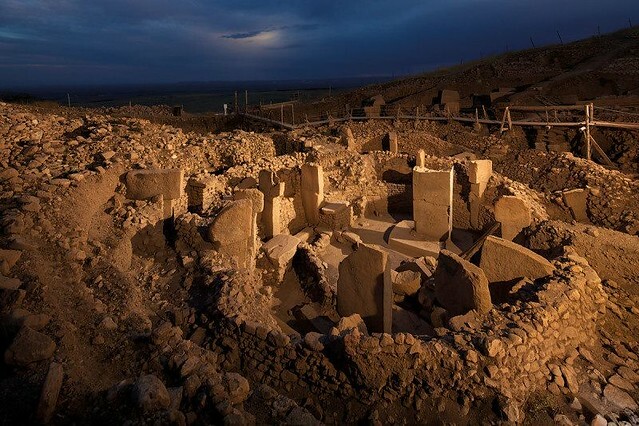 He investigates the ears of several-thousand-year-old men buried in what is now Israel, which show damage consistent with diving in cold, deep water. He uncovers the giant middens of mollusc shells that appear all over the planet, because though molluscs yield a tiny amount of protein — they are ‘small meat packages sealed in heavy inedible shells’ — they are easy to catch. ‘To knock a limpet from a rock,’ wrote Darwin, ‘does not require even cunning, that lowest power of the mind.’ Darwin was wrong: the ability to subsist on shellfish allowed humans to live through the lean seasons. It enabled survival. 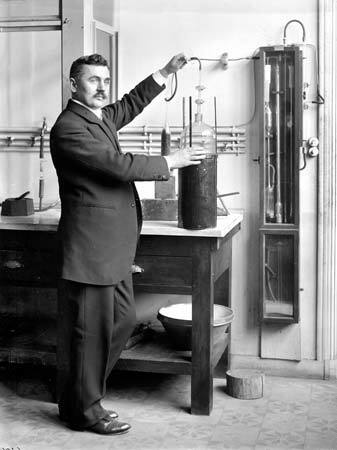 As we spread our nets, we might recall that it was on this date in 1910 that French chemist, engineer, and inventor Georges Claude switched on the first public display of neon lights– two large (39 foot long), bright red neon tubes– at the Paris Motor Show. Over the next decade, Claude lit much of Paris. Neon came to America in 1923 when Earl Anthony purchased signage from Claude, then transported it to Los Angeles, where Anthony installed it at his Packard dealership… and (literally) stopped traffic. 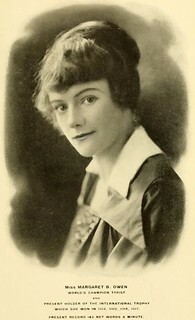 As we try to learn from the past, we might recall that it was on this date in 1917 that Margaret B. Owen won her fourth speed-typing title with a world-record 143 words per minute. Culture – like religion and nation and race – provides a source of identity for contemporary human beings. And, like all three, it can become a form of confinement, conceptual mistakes underwriting moral ones. Yet all of them can also give contours to our freedom. Social identities connect the small scale where we live our lives alongside our kith and kin with larger movements, causes, and concerns. They can make a wider world intelligible, alive, and urgent. They can expand our horizons to communities larger than the ones we personally inhabit. But our lives must make sense, too, at the largest of all scales. We live in an era in which our actions, in the realm of ideology as in the realm of technology, increasingly have global effects. When it comes to the compass of our concern and compassion, humanity as a whole is not too broad a horizon. From “There is no such thing as western civilisation,” an excerpt from the edited version of Kwame Anthony Appiah’s BBC Reith lecture, “Culture,” the fourth part of the series Mistaken Identities. 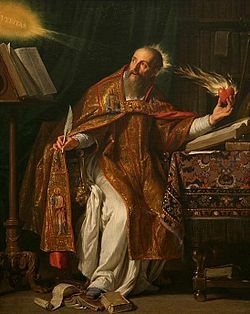 As we take E.M. Forster’s advice (Howard’s End), “only connect, we might send recently-reformed birthday wishes to Augustine of Hippo, AKA St. Augustine; he was born on this date in 354. Augustine famously came to his faith later in life, after a youth filled with worldly experience… including a long engagement (to an underaged girl– to wit the length), for which he left the concubine who was the love of his life, “The One”– and which he broke off just before the wedding. After his embrace of the faith, Augustine became a theologian and philosopher whose writings (e.g., The City of God and Confessions) were hugely influential in the development of… western civilization.